Thayne Rich has a closer, more year-round connection to his skis than most. A diehard skier by winter, come summer, he builds skis in the 4FRNT factory in Salt Lake City, pressing together layer upon layer of plastic, wood, and fiberglass. Now in his fifth year working at the factory, Rich became the head ski builder two years ago. With the help of his employees, the 23-year-old is constantly refining and perfecting the techniques to build a perfect ski, all in the process of churning out 12 to 17 pairs per day. As for the skis he builds and prototypes, Rich skis them as hard as anyone. Anyone that has seen him ride can attest to the Salt Lake native's jaw-dropping, big air style and impressive air awareness. 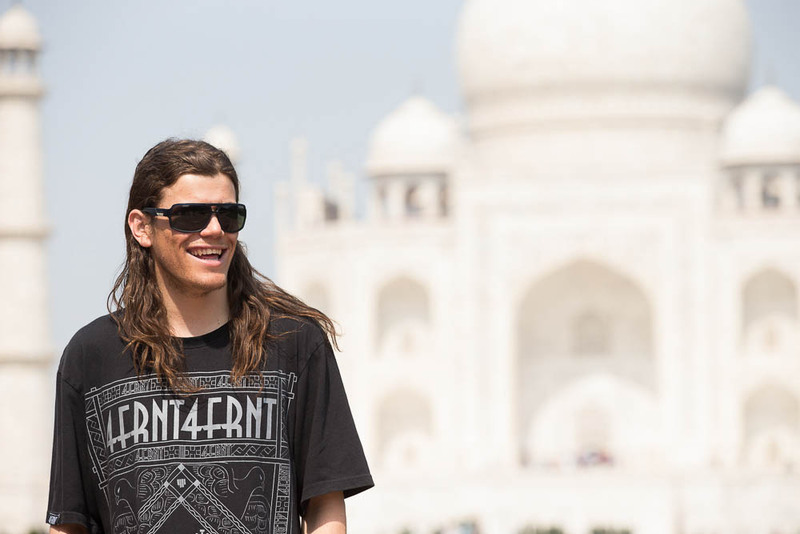 He is on 4FRNT's international team, situated in a stacked lineup that includes the likes of Eric Hjorleifson, Wiley Miller, and Olympic gold-medalist David Wise, and is featured in their new team film Shaping Skiing, despite missing much of last winter due to a broken jaw. He has also previously starred in Sweetgrass Productions' Solitaire and Valhalla. When did you first realize that you wanted to build skis? Pretty much right off. My first time coming through 4FRNT, I was like, "Whoa, they're building skis in Utah." I wanted to be here as much as I could, even if I wasn't getting paid. It was just fun to be here and be a part of it. What do you love most about making skis? I think my job gets more and more exciting because there's more and more responsibility. I just want to make things the best that they can be. After building so many skis, I just want to be 100 percent, not build a bad ski all summer. But it's tough. There are definitely days where you have to cut out 70 pairs of skis and it's 100 degrees outside and the warehouse has no A/C and you're bringing three shirts to work because you're sweating so much. But honestly, when it really comes down to it, you're just building things that bring people pleasure. What's it like to know that you're part of bringing people that joy of skiing? It's super cool. It's so fun to see my skis on the mountains all over. I mean it's one thing to see them up at Alta or at Snowbird—but to see them up in Canada or somewhere—it's cool to just see them out there. It's really rewarding when you're able to see that and connect with people. Are you originally from Salt Lake? Where did you grow up skiing? Yep, grew up here, right in the heart of it. I feel the most fortunate to have grown up here. Twelve and under skied free at Snowbird when I was growing up, so I milked that until I was about 15 or 16. That and the Brighton deal. Then I started just getting Park City and Alta passes. Had a few years of park skiing, and then fully became an Alta dog. I just couldn't get away from the vibes and terrain up there. Are you going to stick around Salt Lake? It's cool to make skis out of Utah even in this corporate world. I think it's really rewarding and refreshing to be able to stick with it. Anybody that wanted to see a ski be built, they could call in and be like "Hey, could I come down some time and buy a pair of skis and watch you build them?" I think that connection for people is unbelievable. What's the biggest challenge for you with this job? Just being my own critic. I just want to build the best skis that I can. I don't ever want to mess up. I don't know, I just would say that feel is definitely the hardest part of that. It's not something that is taught or learned. There's so much feel in building a ski and so many little, small things to check. What is one of your favorite parts of the job? Prototyping is definitely the most fun part about my job. Somebody has an idea and you draw up a picture from the engineer, and you take that idea to six, eight different flexes, different tip shapes and you get to try it on the mountain later that week. It's just cool to be able to build my own skis and see the effects on a ski of doing different things. You got bumped up to the international team at 4FRNT last year, right? Yeah, it was awesome. I was really hyped. I mean these are the people that I've been seeing in movies when I was dreaming of being professional. To be on the same roster as those guys is an honor really. I've always looked up to them, especially Hoji (Eric Hjorleifson). 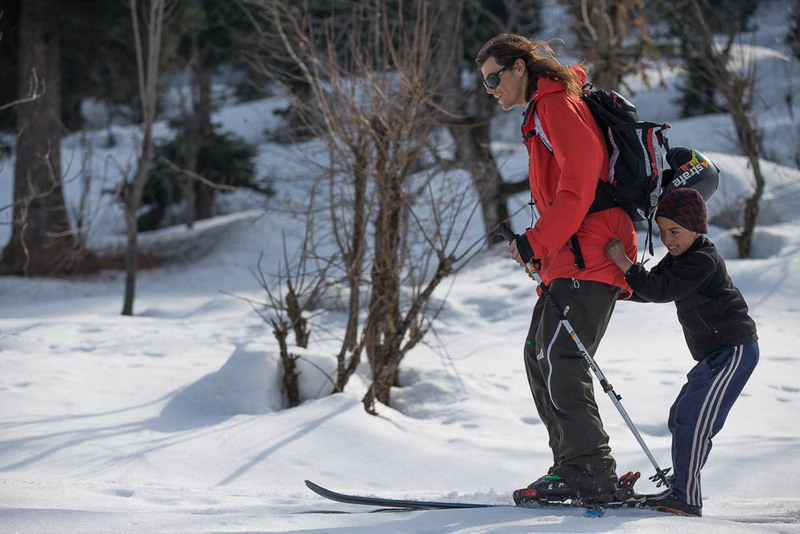 His skiing is super impressive. 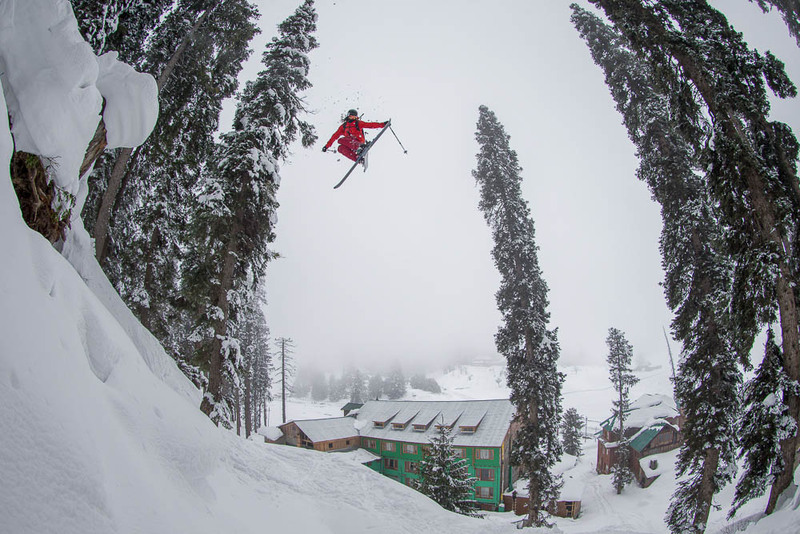 What's it like to work with Hoji on his skis? It's chaotic, but it's awesome working with that guy. He's a genius. He's got some brilliant madness, for sure. I appreciate Hoji's work so much because he is so particular. He can ride a ski and feel it out so much better than I could ever, I feel like. He definitely makes things better, cleaner. So do you have to work in the winter at all? No, not after I'm done with production here. I'll occasionally come in and help out if anything needs to be done around here, but for the whole months of the winter I'm fully skiing and travelling and doing my thing.